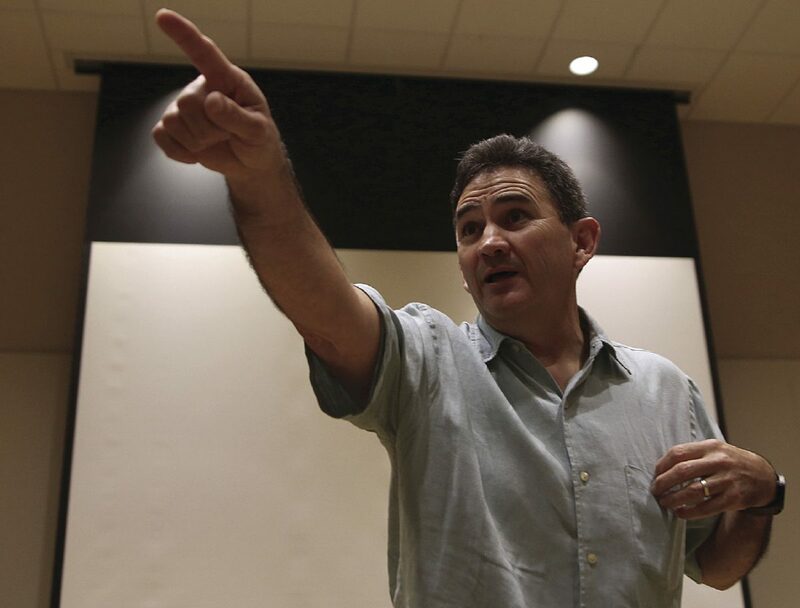 Valente Rodriguez instructs an acting class Friday during a South Texas International Film Festival in Edinburg. EDINBURG — Edcouch native and accomplished actor Valente Rodriguez jumped off the ground, prompting some to follow suit. He then reminded fellow jumpers that Simon didn’t say to leave their feet. 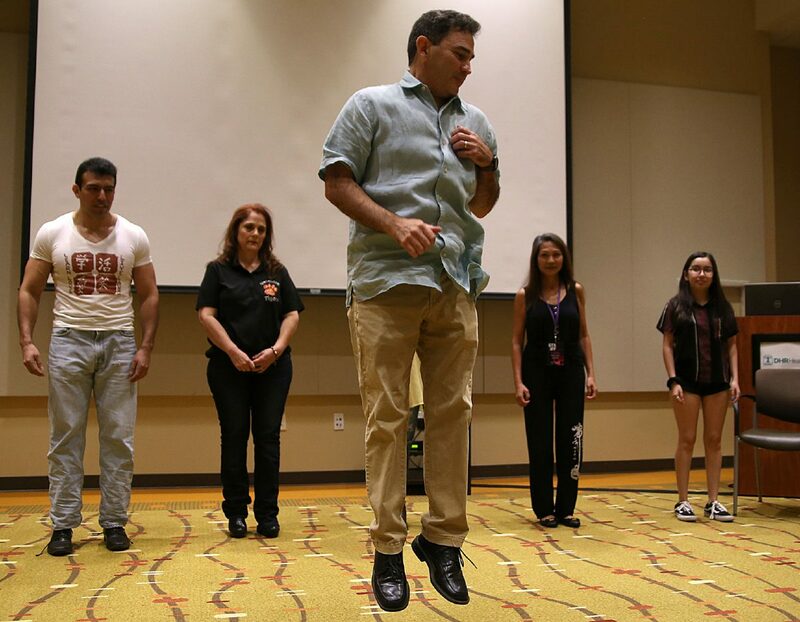 The performance was about listening and reacting he tried to instill Friday during a South Texas International Film Festival acting workshop at the Edinburg Conference Center at Renaissance. The fourth annual event, organized by the city of Edinburg, more than doubled the number of selected films to more than 50 and spreads to four different venues this year: Cinemark Movie Bistro, Echo Hotel, the University of Texas Rio Grande Valley and the DHR campus. More than 130 films from 24 countries were submitted for consideration. STXIFF also grew to four days, running from Wednesday to Saturday. 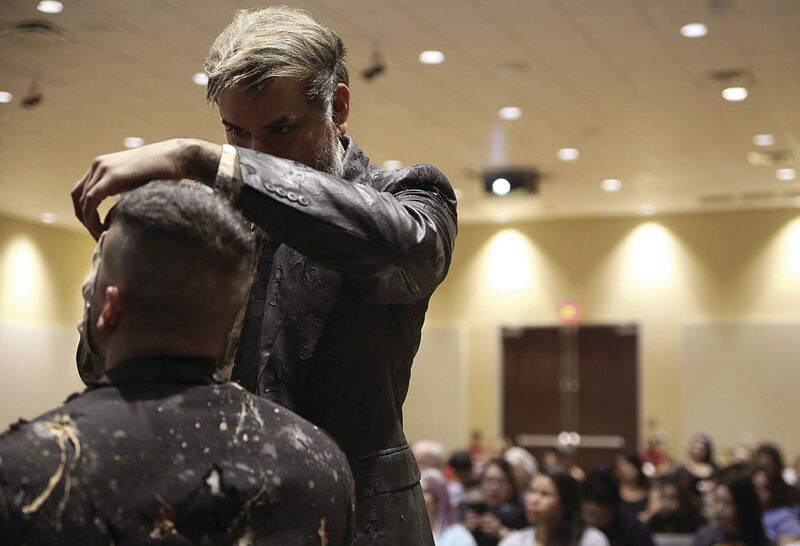 SyFy's cinematic special-effects makeup championship Matt Valentine leads a session Friday during a South Texas International Film Festival in Edinburg. And like the physical imprint of the fest, the educational component was expanded to incorporate more aspects of production. The move was intended to provide more opportunities for local filmmakers, according to STXIFF committee member Lonnie Guerrero. Educational sessions included panels and classes on stunt work, the film business and special-effects makeup, which was taught by SyFy “Faceoff” champion Matt Valentine, who did a live, four-hour demonstration. A commitment to supporting local filmmakers doesn’t stop after the event ends, said Letty Leija, city of Edinburg’s director of library and cultural arts. 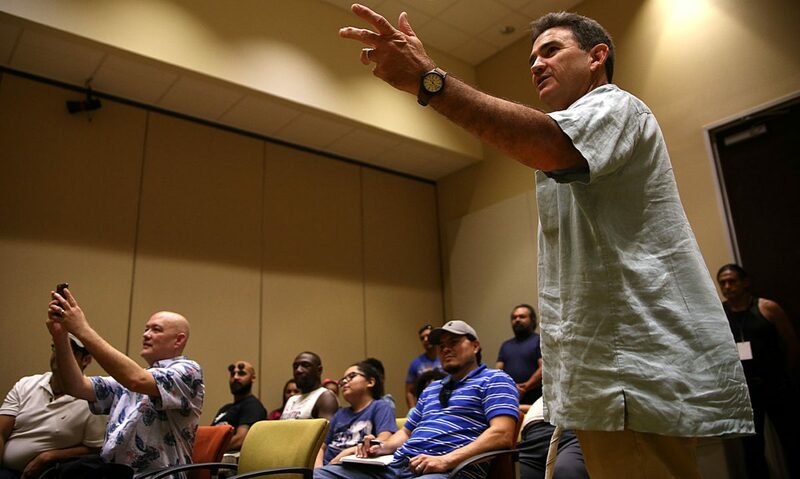 Edinburg also hosts quarterly workshops on filmmaking various topics. Local film submissions, which are more than a dozen, have gotten better, Leija said. And while she stopped short of crediting STXIFF completely, she noted a correlation. Garcia, who makes films, televisions and commercials in Austin, said he didn’t realize this could be a job when he was younger. It was a local, iconic film festival that changed that for him. “One of the things that makes it special, at least in my opinion as a filmmaker, is they’re having their short films shown next to films from international artists,” he said. “They’re sharing the same space. Including locals in the event, mingling and talking about film with other filmmakers are mutually beneficial, he said. The cultural exchange has “really opened the door for us,” Torres said, as international filmmakers are impressed with the work and reaching out to collaborate on projects in the United States. “I think the goal for this festival was always to take original filmmakers that are doing great work in the Rio Grande Valley and connect them with the world,” Torres said.